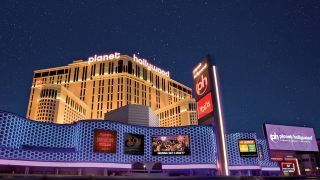 Earl Enterprises, the owner of the US restaurant chain Buca Di Beppo, several Earl of Sandwich franchises and Planet Hollywood's Las Vegas, New York City and Orlando locations, has confirmed that cybercriminals used point-of-sale (POS) malware to obtain credit card data between May 2018 and March 2019. The breach was first discovered by KrebsOnSecurity which found that a batch of around 2.15m stolen cards were made available for sale on the online shop Joker's Stash. Joker's Stash regularly sells huge batches of new stolen credit and debit cards to cybercriminals online. While the names of the companies breached are omitted, since the shop indexes their lists of stolen cards by the city or postcode of the store from which the card was stolen, KrebsOnSecurity was able to determine that Bucca di Beppo's data was stolen based on its store locations. Fortunately, cards used in online orders were not affected by the breach but if you did happen to visit Buca di Beppo, Earl of Sandwich, Planet Hollywood, Chicken Guy!, Mixology or Tequila Taqueria in the last ten months, it is worth checking your bank statements for any suspicious transactions.